The Hundred Worlds have withstood invasion by the relentless Hok for decades. The human worlds are strong, but the Hok have the resources of a thousand planets behind them, and their fleets attack in endless waves. The long war has transformed the Hundred Worlds into heavily fortified star systems. Their economies are geared for military output, and they raise specialized soldiers to save our species. 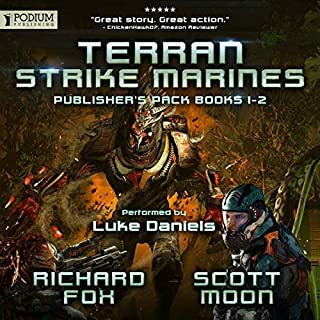 Assault Captain Derek Straker is one such man among many. Genetically sculpted to drive a mech-suit as if he wears a second skin, he must find a path to victory. It's a battle in which he'll never admit defeat, but not even Straker knows the dark truth behind this titanic struggle. 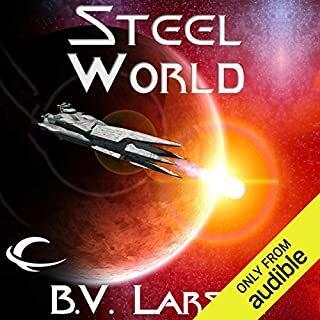 With Lieutenant Carla Engels piloting, Starship Liberator explores enemy territory in search of answers. 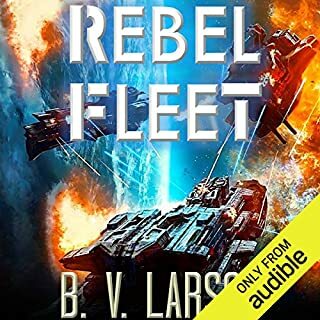 ©2017 B. V. Larson, David VanDyke (P)2017 Audible, Inc.
Action right from the start, good military SciFi with moral backbone. 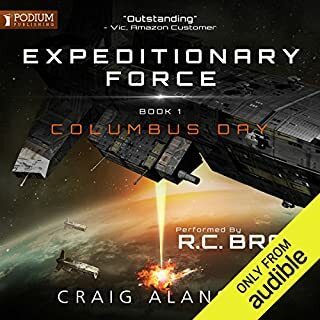 Narration was excellent and distinguishing the various characters easy. This book is like a paint by numbers clone of any much better science fiction series you could name. It's like the authors had a tick list of tropes to include to make a successful sci-fi series, but had no original ideas, no decent characterization, or anything really much at all. It was painful to be dragged through. Basically it's just a rip off hack job, the authors were just going through the motions. Don't waste your time. The narrator was OK though. 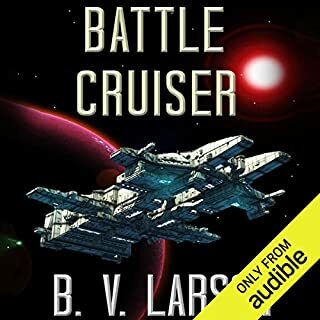 Would you try another book from B. V. Larson and David VanDyke and/or Mark Boyett? Something not from this series! It was pretty boring! Not because nothing happens, but because there is no reason to care about the outcome. The book dives direct into action and just keeps going. Action is fun but only when you care who dies and who lives. The book literally begins with NO character development and throughout the book there is almost none to be found. 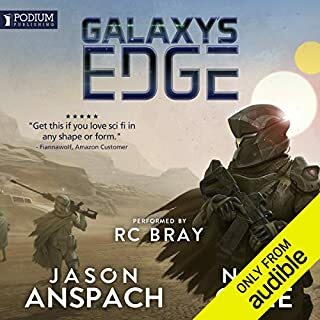 The familiar voice of Mark Boyett does help as does his professional reading, but nowhere near enough to compensate for the lack of content. Was this book an experiment? Did they want to see who little character development you can possibly get away with? I was beginning to think these two writers were infallible, a sure thing, but I guess they are just human. I want to start by saying the guy reading did an amazing job! But there just isn't enough depth of story here for me to care. I'm 3/4 of the way through and I just can't anymore. Larson keeps writing the same story and just calling it different names. it was fun the first few times, but it's getting old. Can we get some new original material? Firstly, Mark Boyett is one of my favorite narrators. He adds personality to the characters and the story without going too over the top. I enjoyed this book quite a bit and look forward to the next in the series. 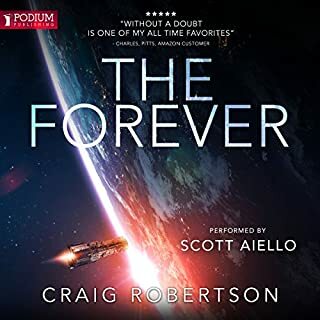 I don't believe it's available in audiobook yet so I will probably read it now then listen to it at a later time. The characters in the story are complex and imperfect and you find yourself worrying about what happens to them maybe with the exception of Loco who gets a little annoying at times for all the wrong reasons. The whole mutual, unmutual debate sounds a bit like the Orwellion socialism in the book '1984'. Its understandable the authors are laying a foundation to the story but I hope not to hear so much about mutuality in the future books. In spite of the few things I commented on I highly recommend this book especially if you're looking for a new series to follow. Typical Larson. With slow start though. First half is somewhat confusing as a lot happens without understanding the context of it. Roughly, through the half, things start come together and you can see what these authors are good at. Mark Boyett is great as always. Very, Slow... Descriptive to the point of Sleep.! 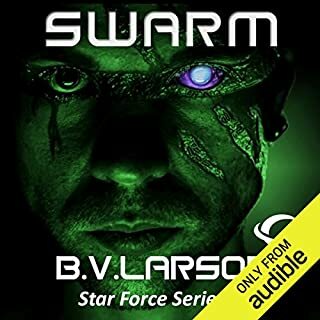 A struggle to finish, not your normal B.V. Larson read... The plot never really gets going, but you will never lack for details as this book is so long winded, with it's long descriptive narratives, repeated details and failure to catch and hold the readers attention... Save this one for when you need sleep, a cheap prescription for falling off... More boring than counting sheep. 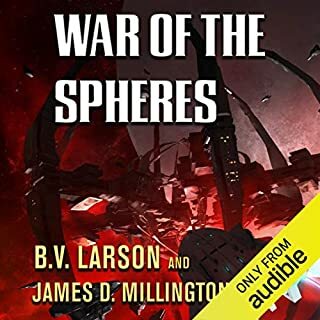 Would you ever listen to anything by B. V. Larson and David VanDyke again? 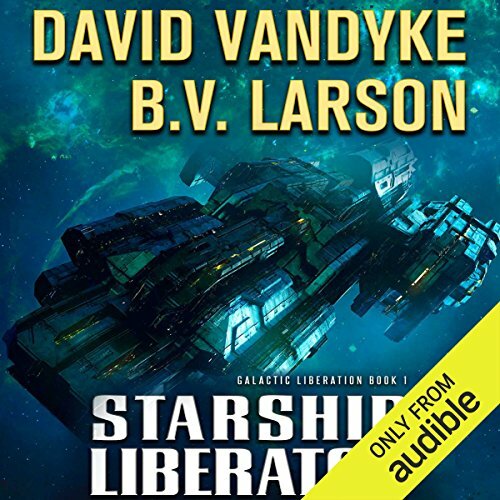 Was Starship Liberator worth the listening time? I am partial to this kind of story but I feel they have done a amazing job with the storyline​progression. it really captures the imagination. You feel connected to each character and have love and sometimes annoyance with them just like you would with someone you know in real life. Couldn't finish this one. Just so boring and was more about exo-suits rather than a spaceship. The begining had me worried that the characters are developing too quick for me to really enjoy their story but boy, was I wrong. really good book, looking forwards for the next one in the series. Average story, poorly performed... this book feels like it w as written by a 10 year old with too obvious wordplay and flat characters. The narrator didn't help with unemotional delivery and annoying one size fits all accents. I was so, so disappointed with this. Read lots of other BV Larson but this one is so clearly mostly written by someone else and it’s just not the same. There’s so much technical description you just lose sight of what’s supposed to be going on. Shan’t be buying any more in this series. Liked this first book in the series very much. However, there were one or two sections which were not so great. Too much technicality in one or two sections which seemed to go on and made for boredom' hence only 4 stars. 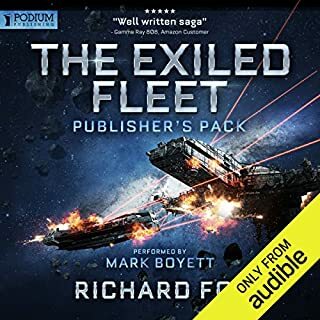 Apart from the boring bits, narration was, as always, very good with Mark Boyett and worth the credit. Just couldn't get into this book. Very boring I think BV Larson really needs to learn it's about quality and not quantity and stop turning up ten dozen books a year. 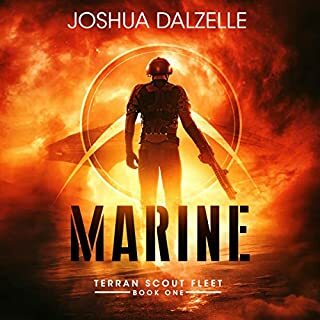 a very generic military science fiction nothing compelling in this book whatsoever good book if you've got insomnia and you want to go to sleep. book one and I enjoyed it. the main character is a little up and down but all of them combined is good. Standard space adventure, that follows the standard formula. There was nothing particularly bad with the book but then again there was nothing particularly good or interesting about it. 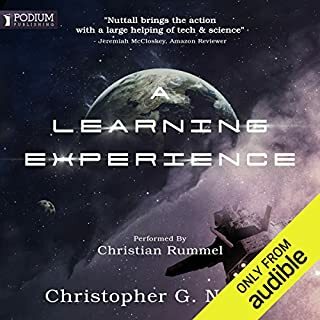 I looked at the reviews of this from fellow members and I must agree with some of the comments such as ... the lack or character building however this book is got me hooked after the first 3 hours, so just give it a go you might like it. My only other issue is that all the characters sound like Undying mercenaries characters but I loved those books as well. Cant wait to start the second book in this series.